The food in Bali is generally safe to eat. Most expats eat a combination of western and Indonesian food on a daily basis. The odd stomach bug does occur but don’t let fear prevent you from enjoying what Bali has to offer. Restaurants now know to wash their vegetables in filtered water, salads are fine to eat. Bali has its own cuisine, masakan Bali. Balinese food consists or rice as a staple, often served with dishes made of pork, a variety of sate and vegetables, often mixed with chili. Two of the most famous items in Balinese cuisine are lawar and babi guling. Lawar is one of Bali’s most famous local dishes. Made from pig’s blood and spices, together with an assortment of other goodies, lawar can be found in every village in Bali. Balinese traditional spices such as kunyit, shrimp paste, salt and ground pepper, galangal and other roots; grated coconut, green beans, boiled young jackfruit and occasionally, singkong leaves, all chopped up and blended together. 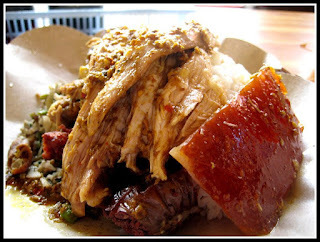 Babi guling is Bali’s most famous dish. Ask a Balinese person what their favourite food is and there is a good chance they’ll say “Bali guling”. Indonesia is a Muslim country, so pork isn’t celebrated as it is here in Bali. The Balinese however often keep pigs at home behind the house, feeding on food scraps, for that important time when they will be killed and eaten. The young suckling pig is used because of its tenderness, spit-roasted to perfection. Finding Bali Guling is a bit hard in tourist areas as it takes a while to prepare and is not really a dish most foreigners will ask for. As soon as you get away from the tourist scene in Kuta / Seminyak and head to Kerobokan, Mengwi, Ubud, or any other local place, the babi guling stands pop up. Vegetarians visiting Bali will have no problem at all, finding delicious food. The selection of international restaurants is amazing. You might go for a spinach lasagna at Warung Italia, a vegetarian Indian dish at Gateway to India, or a vegetarian Meditereanean plate at Zula, on Jl. Dhyana Pura. But how about Indonesian food? Hitting a Padang food place, the Sumatran style places with pyramids of food in the window, you will notice many vegetarian options. Rice will be a staple, vegetable choices are often free and other items cost more. For example I might choose fried temple (made from soy beans), kangkung (the leafy green vegetable), nangka (curried jackfruit), hard boiled egg and a potato cake. In other Indonesian-style places, you will find dishes such as Gado Gado, which is steamed cabbage and sprouts, with rice, tofu and peanut sauce. Its quite tasty! A good option for a vegetarian is nasi campur (mixed rice) I get this all the time, with meat of course, but if you specify no meat, you will get, rice, various green vegetables including spinach, green beans, tofu, tempe, egg, peanuts, sambal, etc. Nasi goreng (fried rice) is a dish popular, not only in Bali, but all over Asia. Nasi goreng is made by tossing a small plate of steamed white rice, into a wok, with oil, vegetables and sometimes seafood, or chicken. It is usually served with a fried egg slapped on top and giant prawn cracker. Javanese cuisine originates from the island of Java. Here is a little guide to the cuisine of Java. bawang merah (red garlic), tumeric, merica (pepper), pala (black pepper). Usually use coconut oil for cooking, which comes in a bottle. Wortel (carrot), kacang panjang (long beans), buncis (green beans), jangung (corn), sawi kankung (green vegetables), kentang (potato), terong (sour vegetable), taro (root vegetable), cabbage, kacang (peanuts). 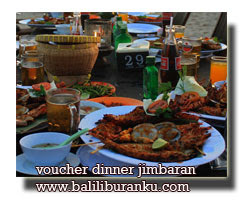 Udang (prawn), bandeng (boney white fish), cumi-cumi (squid), kepiting (crab), tuna, gurame (flat white fish), tongkol (barracuda). Javanese food has a sweet taste, without many spices, so if they want ot cook one meal they use special spices, they don’t like to mix spices. for example Balinese food often contains a mixture of many hot and powerful spices, whereas Javanese cuisine often says ‘this dish should have onion, but no garlic, this other dish should have garlic but no onion’. Sumatra has more spicy food, Javanese food is famous for sweet, west Java is famous for raw vegetables, Central Java very sweet. rice or rice with coconut milk. In Java it is popular to use a wajan (wok) for cooking, over a gas burner. The most popular methods of cooking are goreng (deep frying) in the wajan, rebus (boiling) is used for eggs, noodles, tofu, tempe. Bakar (grilling) is used for fish. Javanese love using coconut milk. This is applied to dishes, by cooking the meat and vegetables in a wajan with hot oil. After they ingredients are ready, they are transfered to another pan / wajan and the coconut milk is added with particular spices. Javanese cuisine doesn’t really have the ’starter-main course-dessert’ set up of western cuisines. Javanese often prefer to get straight into the main meal with various dishes, accompanied by a sweet drink. cooking, the difference in taste noticeable. Restaurants serving Javanese food give a fork and spoon, but many Javanese people prefer to use hands. In my opinion many westerners would appreciate Javanese food, as it is not overly spicy, interesting, colorful and complex. Go into any restaurant or warung in Indonesia, pick up the menu and you are guaranteed to see bubur on the list. Bubur ayam or chicken porridge are early morning favourites with many Indonesians. One of the greatest delights is to get a corn cob or jagung that is toasted over hot coals, put on some salt and coarse pepper, and then make a pig out of yourself devouring it. One will often see grilled corn vendors at the beach, especially on Sunday afternoons, a time popular with Balinese families. Vegetarian food in Indonesia is not that hard to find, Asian food in general not having the preoccupation with a big chunk of meat like some European cuisines. 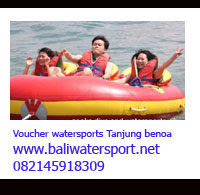 One of the many aspects that makes Bali a sensational place to visit is the availability of cheap and tasty food. The most common type of eating establishment in Bali is the warung, the small local cafe type places that traditionally serve local food, but have adapted to accommodate foreign palletes. Fried bananas or pisang goreng, are one of the tastiest delicacies to devour for a quick snack between meals. Even better, add a couple scoops of ice-cream and it is the yummiest!. Visitors to Bali are often unaware of the delights that await at the local fruit market. Odd looking fruits and strange names can put people off being as adventurous as they might like to be so here is a quick guide to some tropical fruits found in Bali. Let us enjoy a citrus fruit of true Indonesian origin. It is a rather large fruit sometimes nearly as big as a football. Its name is jeruk Bali or Bali pomelo. • How expensive is it? Tourist warungs in the Kuta area on the narrow lanes leading to the beach will serve you a plate of food for $1-2, depending on what you order. An example of this type of place is Bamboo Corner on Poppies I. Warung Murah on Jl. Oberoi and also Jl. Double Six will do the same with an Indonesian selection. Mid-range places serving western food may found all over. Good options in Seminyak include Ultimo, Trattoria, Rumours, Warung Bonita, Taste and Mykonos. A typical meal can be had for $5. High end places also exist including KuDeTa on the beach in Petitenget, where you can spend $30 or more for dinner. BaliEats does a good job of detailing popular Bali restaurants. • What are the rules of etiquette in Bali concerning eating? The rules of etiquette are virtually the same as in the west, except in the budget places you do not have to wait to be seated. 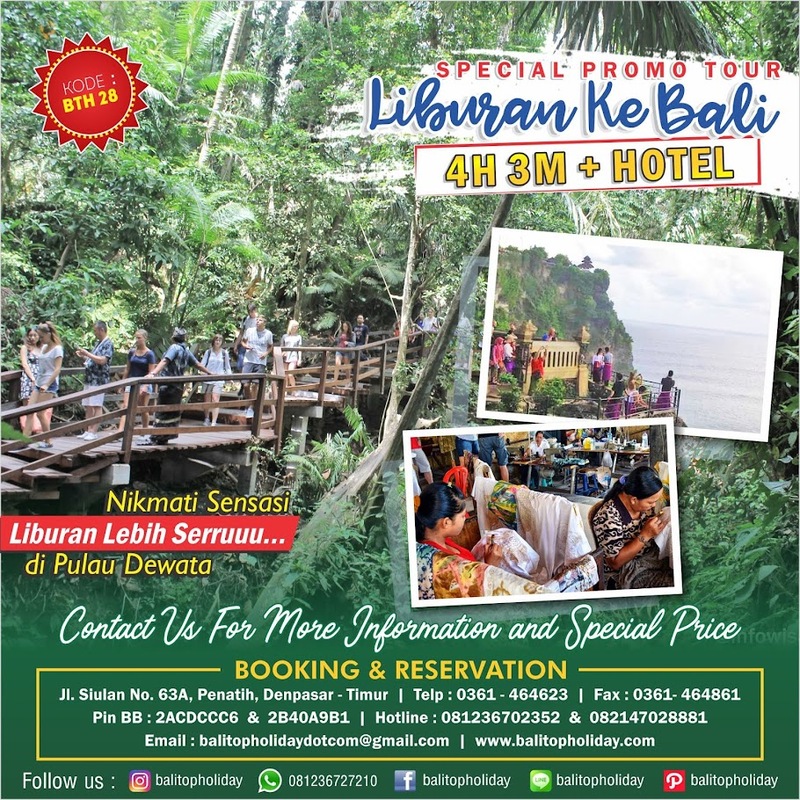 In Padang style Indonesian warungs, where the pre-cooked food is in full view, you will get a plate of steamed rice and choose what you want, receiving a ticket and paying before you leave. If you need the waiter / waitress just look in their direction and raise your hand, no need to click your fingers or tap your glass with the knife. In Indonesian the word ‘permisi’ means ‘excuse me’, so “Permisi blee” to a waiter, “Permisi mbah” to a waitress. In a restaurant / tourist warung your food may not arrive the same time as the other members of your group. In Indonesia it is fine to start eating before other people. Service and tax equaling 21% will be charged in restaurants, not in warungs. Tipping is not a Balinese tradition, however if you would like to leave an extra 5-10% the staff will appreciate it. Warungs will not usually accept credit cards, but restaurants will. If in doubt ask the waitstaff before ordering. The usual western cutlery is found in restaurants in Bali. Warungs often substituting a spoon for a knife. Eating with one’s hands is perfectly okay in an Indonesian warung.